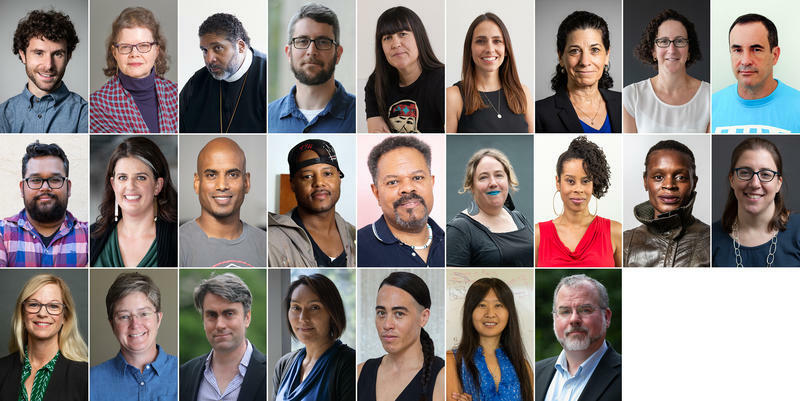 Kelly Link of Northampton, Massachusetts, is a 2018 MacArthur Fellow. 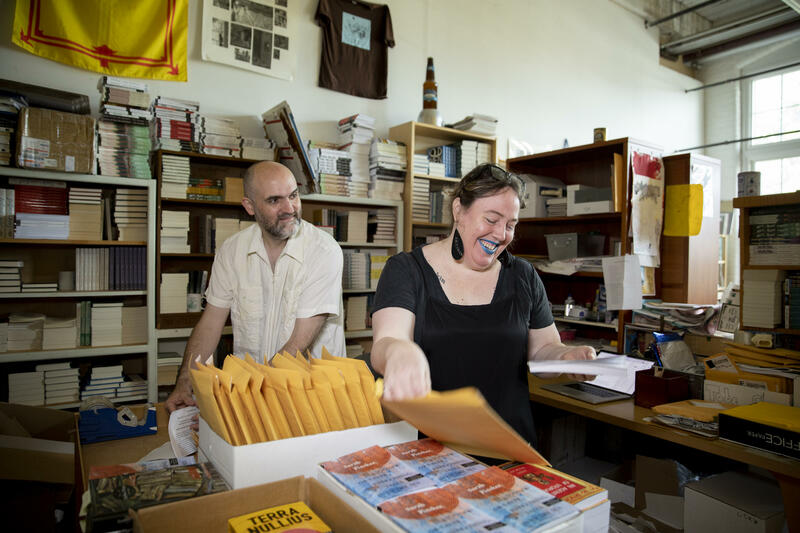 Kelly Link, at right, is a Northampton, Massachusetts-based writer and publisher in a business with her husband, Gavin Grant, pictured. 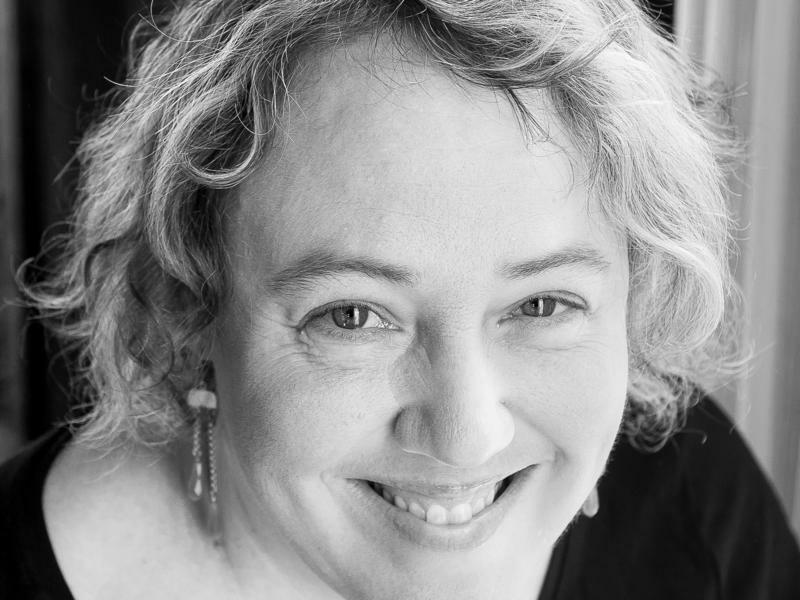 Among the 2018 MacArthur Foundation award recipients is Kelly Link, a fiction writer and small publisher from Northampton, Massachusetts. Link's most recent collection of fantasy and science fiction short stories, "Get in Trouble," was a 2016 Pulitzer finalist. Her stories are filled with compelling, seemingly ordinary people. The narrative is often funny, often dark, and always fantastical. MacArthur recipients include scientists, historians, poets, artists and people in public service. Like the two dozen other 2018 fellows, Link was nominated through a secretive process for her "exceptional creativity." She'll receive a $625,000 no-strings-attached grant over the next five years. Kelly Link, author/publisher: You know, the work that I do, I'm very happy to be able to do it. And in one way, what the award feels like is a kind of external validation which says you're right to be doing this work, and you should keep on doing it. It would be great if all the other artists and writers whose work inspires me also were able to have that kind of validation. You know: financial security, an audience who reads their work, all of that. But in terms of "why me" as opposed to lots of other people? The process is opaque, and if I try and think it through, what I think is I am very happy that it happened, and I'm really glad that I don't have to make it make sense to myself. I can just accept it, and keep on working. Link is committed to helping other writers chart their own course, much as she did; with her husband, Gavin Grant, she runs the Small Beer Press, which publishes unique voices in fantasy and literary fiction that do not appeal to commercial publishers. As a writer and an editor, Link is mapping new literary territory, and she is a source of inspiration for many young writers dissatisfied with traditional distinctions between genres. I do really appreciate the [MacArthur] fellowship is, in part, because of the work that I get to do as a publisher. We published people like Ted Chiang, Karen Joy Fowler. More recently, we published a debut collection by a writer named Abbey Mei Otis. There's a writer whose work I love: Sofia Samatar. We've published three books by her. In 2015, when "Get in Trouble" came out, you were reviewed in The Washington Post by Michael Dirda. He wrote that when you write, you're making art that re-enchants the world. Maybe this is a kind of external validation, but even the idea that I could write the kinds of stories that I wanted to write -- whether they were stories about teenage girls, or about zombies or about monsters -- I guess I can just keep on doing what I most like to do. What I most like to do is write, drawing from the kinds of traditions that I most love to read. There is a saying about the kind of experience that you have when you read science fiction or fantasy. The saying is that, as a reader, you experience a sense of wonder. The pleasure of reading it is that you enter into a space where things feel more charged, or imbued with possibility or with magic, than some kinds of realistic fiction manage to reach for. I do think about that when I write. I think: I want to be able to lead the reader down a path that feels a little dangerous, a little exciting, that leads to a space that is not like a space that they've been to before. The MacArthur award changes a life -- the recognition, the money. How do you handle that? What I will say about my relationship to my work is that I don't like writing. I hate it! And yet I am still compelled to do it. I think for me, the tension is: I could spend a lot of time not writing, and just sort of coasting on the glow of getting this award. But I am a very contrary person. I don't like writing, and so I do it. The idea that you get an award like this, and so you should spend a lot of time celebrating -- what I actually feel is I should probably get back to work. What could possibly bring together a painter, an economist, a pastor and a planetary scientist? If you ask the John D. and Catherine T. MacArthur Foundation, the answer is simpler than you may think: They've all shown creativity, potential for future achievements — and the likelihood that $625,000, meted out over five years, will help them complete their grand designs. As a writer Kelly Link is possessed of many magical powers, but to me what's most notable about her new collection, Get in Trouble, is its astonishing freedom. It's one thing to put demon lovers and ghost boyfriends and spaceships in your stories, but it's something else to allow yourself to explore broad and unusual territory without worrying whether the reader will follow you closely. Link's fiction may be strange, but so, it seems, are all of us, each with our own highly particular inner lives.